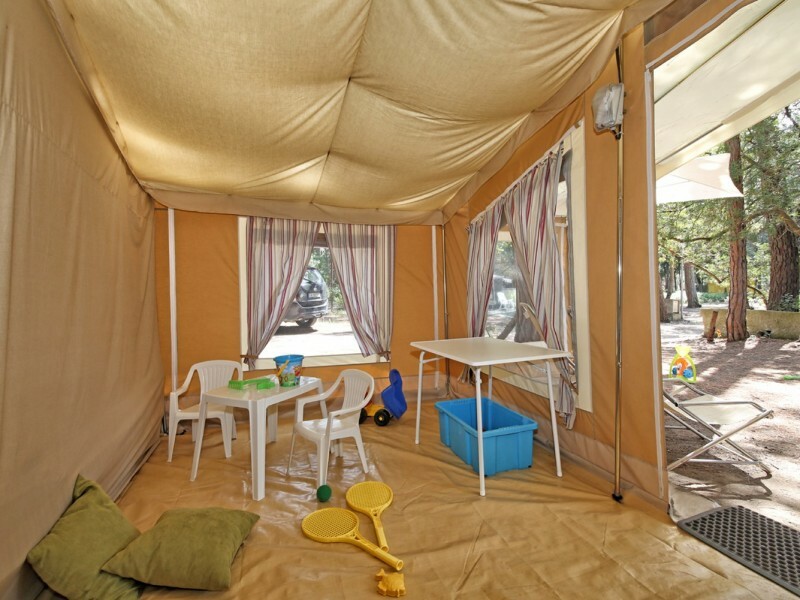 In the Glamptent you can enjoy lots of space and the outdoors at the camp site. 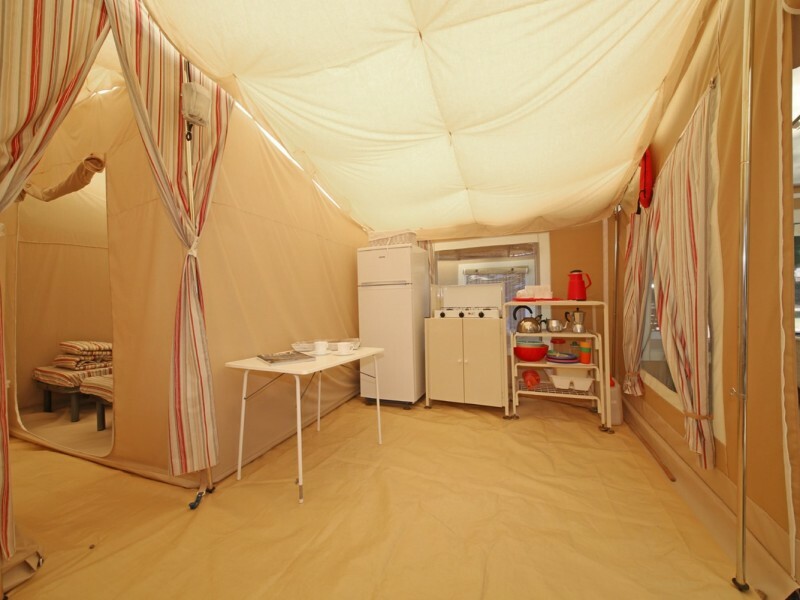 It is the renewed version of the well-known bungalow tent. 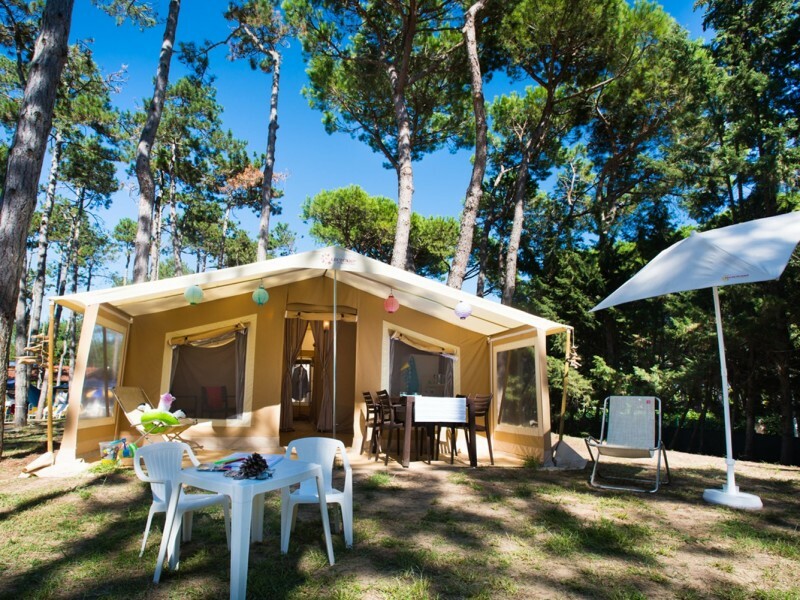 The Glamptent is larger (25 m²), higher and has a spacious living area. The covered terrace offers enough space to have dinner and enjoy a glass of wine. 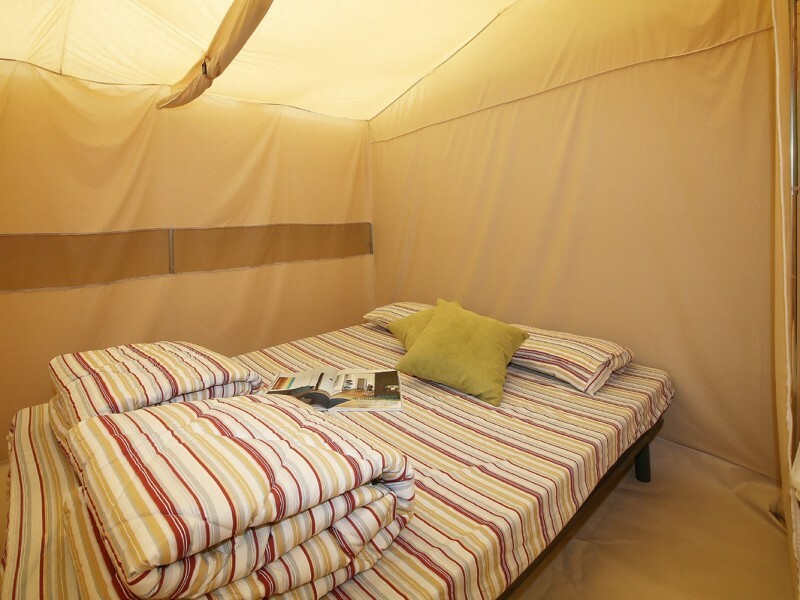 Do you love the real camping experience but would you like to enjoy the comforts of today? 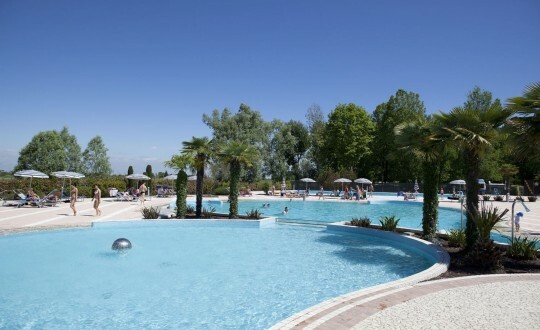 Choose the Glamptent! 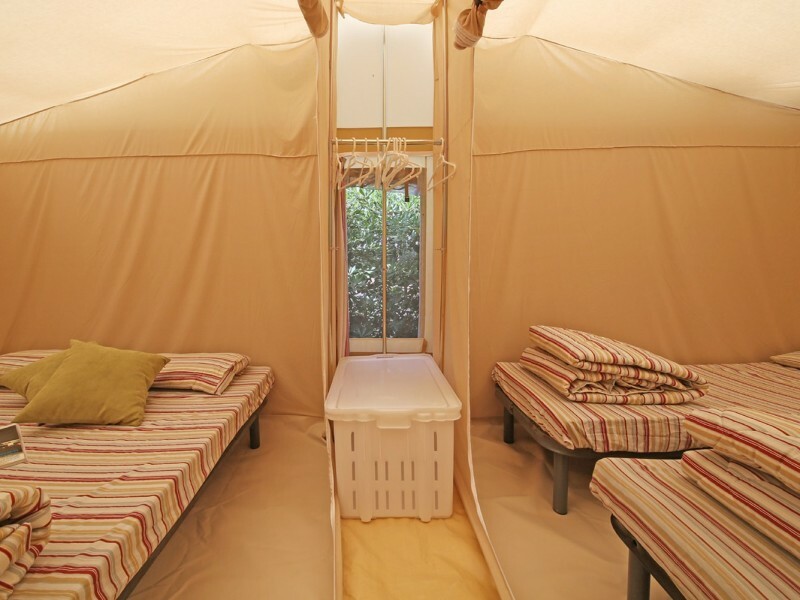 The Glamptent is suitable for up to 6 people. There are two bedrooms (one that can be divided into two separate rooms) with a double bed and three single beds. For the possible sixth person, a camp bed can be added in the living area. 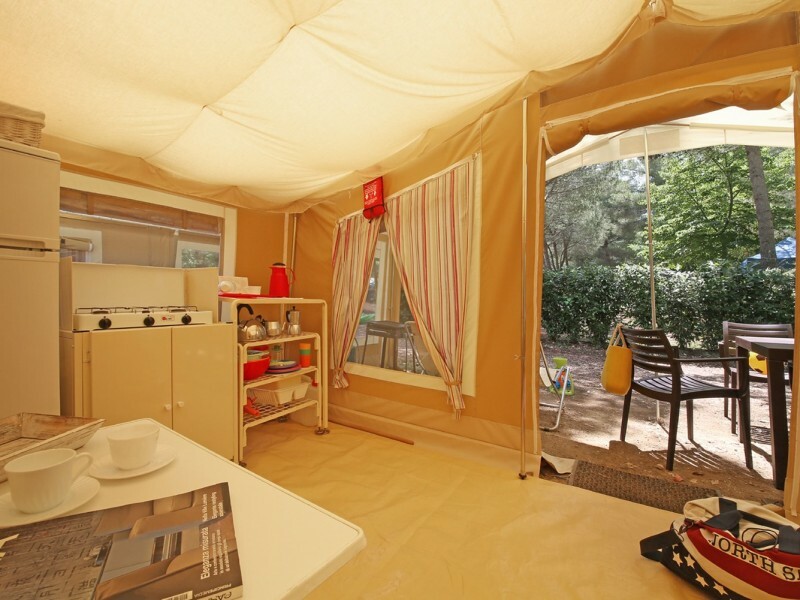 The Glamptent consists of a sitting area with kitchenette, cooker and a fridge. 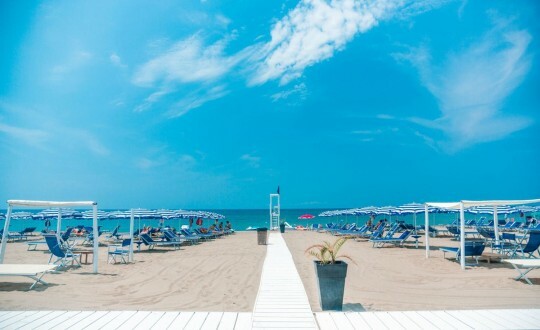 On the terrace outside you will find a table with four chairs, parasol, sun loungers and a barbecue. 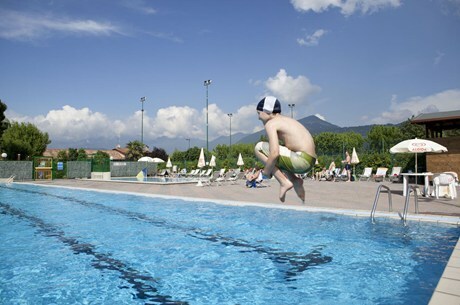 This accommodation has no private bathroom, so you need to use the common sanitary facilities of the campsite.